Horace Walpole's Castle, Strawberry Hill. When you think of haunted houses, tortured heroes, mysterious femmes fatales, ghosts, werewolves, vampires, and dark and stormy nights, what author comes to mind? Perhaps Stephen King, Stephenie Meyer, or Anne Rice? Probably not Horace Walpole. But fans of The Shining, Twilight, and Interview With The Vampire might not be enjoying their favorite scary stories if not for the inventor of the Gothic novel, Horatio Walpole, 4th Earl of Orford. 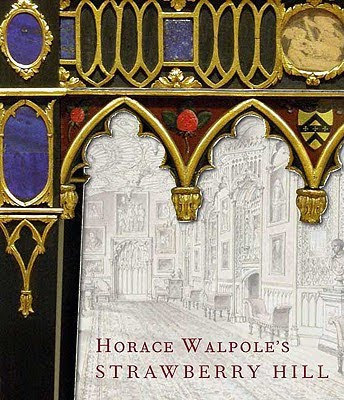 Yale's Center For British Art and Lewis Walpole Library have collaborated with The Victoria and Albert Museum to create an exquisite exhibit celebrating the birthplace of the eighteenth-century Gothic revival, Horace Walpole's Strawberry Hill. The exhibit is on view at the Yale University campus in New Haven until January 3, 2010. Horace Walpole by Sir Joshua Reynolds. 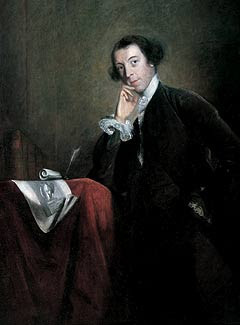 Horace Walpole was born in 1717, to a family of great wealth and distinction, his father was the first Prime Minister of Great Britain, Robert Walpole, and his cousin was "The Hero of Trafalgar," Lord Nelson. Walpole himself was a Member of Parliament, but remained mostly uninterested in politics or the military, instead gravitating towards the worlds of art, literature, and design. 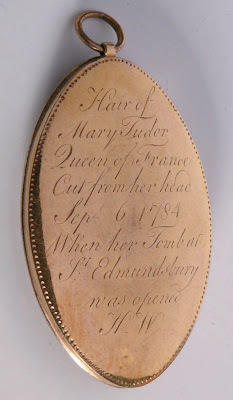 He was what we now call a "taste maker" or "trendsetter," an eighteenth-century version of Oscar Wilde or Andy Warhol. Johann Heinrich Müntz, Strawberry Hill, c. 1755-79. The trend which Walpole set in motion was the renewed appreciation for medieval architecture, the age of chivalry, Arthurian legends, romanticism, and all things dark and dangerous: the Gothic. In literature, Walpole was responsible for the first English-language Gothic novel, The Castle of Otranto. 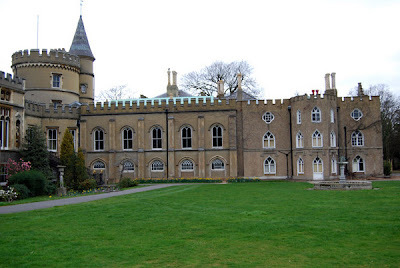 In architecture, he created from the ground up his own "little Gothic castle," Strawberry Hill. 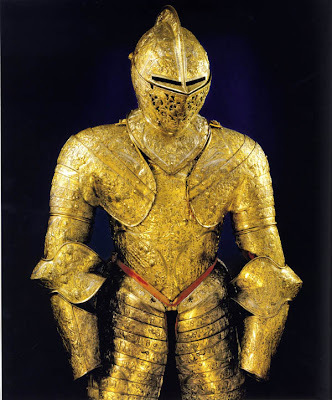 Armour of King Francis I, One of Walpole's Prized Possessions. Strawberry Hill was Walpole's home, but it was much more than that. Like William Randolph Hearst's San Simeon or Charles Foster Kane's Xanadu, it was a museum, a showplace, an architectural marvel, and even a tourist attraction. Strawberry Hill began as a cottage on 5 acres of land in 1748, and ended as a castle, modeled after Westminster Abbey and Canterbury Cathedral, on 46 acres in 1781. The building's contents were as remarkable as its architecture: Walpole was an avid collector of prints, paintings, drawings, enamels, miniatures, furniture, glassware, coins, clocks, silver, armor, antiquities, manuscripts, and books. His collection of art objects numbered as many as 4,ooo, and all were displayed in themed rooms created to enhance their magnificence. 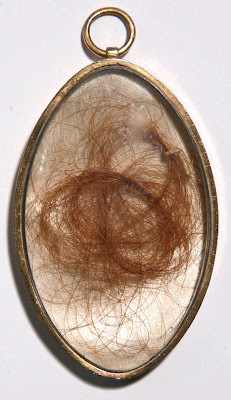 Clipped From Her Head Upon The Opening Of Her Tomb In 1784, And Encased In A Locket. Horace Walpole died without heirs (many historians have speculated he was gay.) in 1797. He left Strawberry Hill to the daughter of a favorite cousin. The exorbitant cost of keeping up such a grand home caused the Gothic castle to change hands often over the years. Finally, in 1842 the house became the property of the 7th Earl of Orford, a handsome, wild spendthrift with a taste for drink, who married his brother's widow, and was briefly imprisoned for assaulting a police officer. In other words, an anti-hero straight out of a Gothic novel. Desperate for cash, he resorted to selling Strawberry Hill's glorious treasures. The massive estate sale lasted 32 days, and scattered Walpole's priceless collection to the four winds. 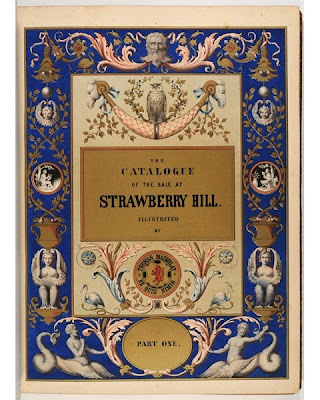 Percival Merritt, An Account of the descriptive catalogues of Strawberry Hill and of Strawberry Hill sale catalogues, together with a bibliography. Strawberry Hill began to deteriorate in 1883, and the trend continued until it was placed on the World Monuments Fund list of 100 most endangered sites in 2004. A massive restoration effort, funded in part by Britain's Heritage Lottery Fund and by The Strawberry Hill Trust, is now underway. The Yale exhibit was organized to highlight this effort, and to attempt to temporarily reassemble at least a small portion of Walpole's treasures sold off over 150 years ago. Co-curator of the exhibit, Michael Snodin, has edited a catalog for the exhibit, which is available as a hardcover book. Phillipa Stockley of The Daily Telegraph named the Yale University Press publication one of the season's best Christmas gift books. The restorers of Strawberry Hill hope to re-open the estate for public tours in 2010. However it will be shown without the thousands of objects Horace Walpole collected to complete his Gothic revival monument, which are now in private hands. The magnificence that was Strawberry Hill in all of its glory is now as imaginary as Daphne du Maurier's Manderley or Jane Austen's Pemberley. But lovers of the fantastic realm of supernatural creatures, haunted houses, magical potions, and things that go bump in the night know that Thoreau was right, and "the world is but a canvas to the imagination."